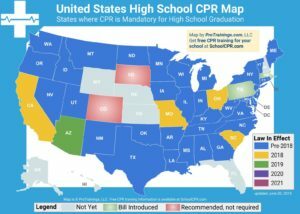 Teachers in California are required to learn CPR and First Aid. 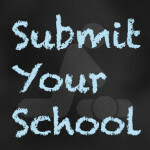 This notice is to alert all institutions that offer approved Multiple Subject or Single Subject teacher preparation programs that it is a requirement that all individuals recommended for a preliminary teaching multiple or single subject teaching credential have certification in cardiopulmonary resuscitation (CPR). a. Complete a Commission-approved Professional Teacher Induction Program. (See Terms and Definitions) Verification of training in cardiopulmonary resuscitation (CPR) that covers infant, child, and adult CPR skills is also required. b. If a Commission-approved professional teacher induction program is not available (this must be verified by the employing agency), individuals may complete a Commission-approved General Education Clear credential program, securing that institution’s formal recommendation for the clear credential. 4. Health education, including, but not limited to, the study of nutrition; the physiological and sociological effects of abuse of alcohol, narcotics, and drugs, and the use of tobacco. This requirement must also include training in cardiopulmonary resuscitation (CPR) that covers infant, child, and adult CPR skills.